With a worldwide clientele since 1992, Rhino Wine Cellars Design Consultants have extensive knowledge in perfectly blending wine racking design and cooling. From metal and glass contemporary racking to traditional wood racking in a wide range of wood options, stains and lacquer. Rhino consultants are continuously sharing their expertise on cooling and designing commercial and residential wine cellar projects throughout the world. No project is too large or too small for our design team. With all-encompassing wine cellar construction experience and over 23 years of education and experience in wine cellar design and wine storage cooling, we recognize how important it is to protect your valuable wine collection. Rhino offers complimentary consultation, fast and free 2D-3D CAD design services, and cooling diagnostics. We strive to be on the forefront in design with Eco-Friendly and modern style racking. 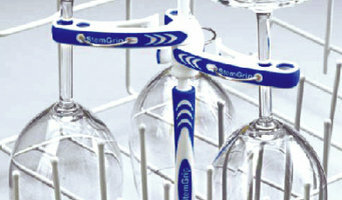 Rhino Wine Cellars mission is to provide quality products at very competitive prices, and exceptional customer service. Experience and Qualifications: Doug Smith, Rhino Wine Cellars President and Chief Designer has a vast resume of experience and qualifications. Many industry professionals consider Smith to be one of the worlds leading experts in the wine cellar design and cooling system field. Doug Smith’s resume includes: •Founder of Apex Wine Cellars in 1989. •Apex Wine Cellars Chief Designer and Product Innovator of over 15,000 Wine Cellar Projects from 1989 – 2010. •Contributing writer for countless magazine articles, briefs and books about “How to Build a Wine Cellar.” •New Business and Product Development Consultant for WhisperKOOL Corporation, the leading wine cellar cooling system manufacturer in the United States and Canada. •Product Director Consultant for CellarCool Wine Cellar Cooling Systems. •Creative Director and Consultant for Ultra Wine Racks and Cellars, a groundbreaker in modern, contemporary metal wine racking systems. 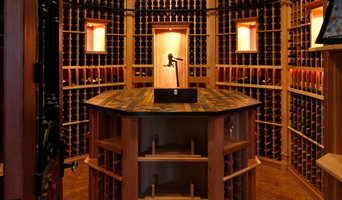 Let Rhino Wine Cellars design team create the cooled custom wine cellar, wine cabinet, or wine locker of your dreams. Working with Homeowners, Architects, Interior Designers, Builders and Contractors worldwide, our consultants have designed over 20,000 wine cellars. Contact us for a free quote now. Founder Doug Smith, World Renowned Wine Cellar Designer. Custom Wine Cellars and Cooling Systems sold throughout the US and markets around the world. Private Homes, Restaurants, Wine Retail/Wineries. 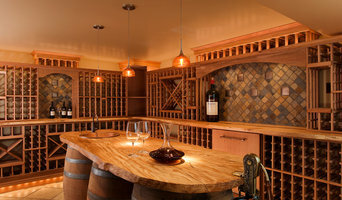 Your Redmond, WA wine cellar professional also will oversee the preparation of the target space (moisture barriers, ventilation and so forth) as well as the construction process. Wine cellar builders select and install the necessary equipment and surfaces, from racks and cabinetry to flooring and lighting, and often handle special security systems to protect a homeowner’s collection.